Manchester United are again interested in signing Sunderland goalkeeper Adam Richardson, according to The Sun. The 15-year-old was linked with a move to Old Trafford in October last year after he was brought to the Red Devils’ attention. It was reported that United were willing to pay £500,000 for the youngster at the time, though nothing came of it. Fast forward six months later, however, and Man United are said to be keen on revisiting a move for Richardson. A member of the Leeds United backroom staff is understood to have been on a scouting mission at Bristol Rovers v Coventry City on Sunday. As per Bristol Live, an official from The Whites and Luton Town interim manager Mick Harford were in attendance to oversee the 0-0 draw. The report believes with Harford also acting as the Hatters’ head of recruitment that both he and Leeds were looking at potential players for next season. 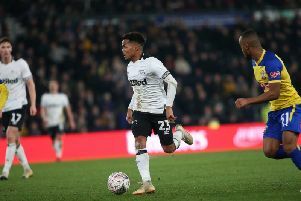 It is unclear as to who they were watching, although recent speculation has surrounded talk regarding Gas striker Jonson Clarke-Harris and his future. Blackpool’s receivers have appointed Michael Bolingbroke as executive chairman. Bolingbroke arrives with an exciting pedigree having operated as a chief operating officer at Manchester United for seven years before moving to Inter Milan. Joint receivers Paul Cooper and David Rubin said Bolingbroke’s appointment made a “significant and positive statement” about the club’s future. The pair have had over 50 expressions of interest in buying the Tangerines. Charlton Athletic manager Lee Bowyer says the contract offer made by owner Roland Duchatelet is incentivised. The Addicks boss is out-of-contract in June and has been linked with the managerial role at Queens Park Rangers. “What they have put to me is a bit different,” Bowyer told the South London Press. “I want to see if there’s also something that is normal. “It’s more like an incentive contract than just a normal basic wage. It’s more like an incentivised one. In League Two, Ipswich Town manager Paul Lambert has played down talk of a move for Tranmere Rovers striker James Norwood. Norwood, recently voted L2 Player of The Year, has hit 27 goals for Tranmere this term, and Lambert was questioned on whether reports of his interest were genuine. “No, not at all,” he said. “There’s a few areas of the field which need a little bit of strengthening. “Forward areas is one of them, there’s another few areas where I think we’re lightweight and we have to get people in. “I’ve never really spoken about any individual. What I’ve done is spoken about areas where I think we need strengthening. Forest Green Rovers striker Christian Doidge has admitted he was not surprised when his transfer to Bolton Wanderers collapsed. 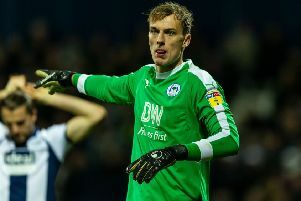 The striker returned to Rovers in January after the Championship side were placed into a registration embargo and failed to complete a permanent deal. Bolton have had numerous of well-documented off-field difficulties this season and with all that was going on, Doidge sensed that it was all going to unravel.